Let’s Take A Field Trip (or Two), Shall We? I’ve got two posts for you to read today, for the price of one. I know, that price is free. But that only means that you’re getting A LOT for nothing. The catch? You can’t read them here. Let me explain. 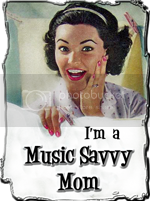 I’ve got an amazingly clever (if I do say so myself) post over at Music Savvy Mom today. PLEASE go read it, comment, and heck, if you like music (even if you’re not a mom), SUBSCRIBE to MSM. I’ll be posting over there more often (more on that soon), and it’s a really eclectic blog that’s fun to read. What have you got to lose? Anyway, check out my adorable post by clicking here. The other place I’m sending you today? SO exciting. After what seems like decades in blogging time, my good buddy (and one of my favorite bloggers in the history of blogging) Nukedad finally put up a post yesterday at Nuclear Family Warhead. Not only is this latest post as funny as his posts always are*, but Weaselmomma and I are mentioned in it about one hundred times, so naturally I highly recommend it. While you’re there, check out the “Best of Nuclear Family Warhead” posts, in the right-hand margin, and then subscribe. Nukedad needs to feel the love so this new post won’t be the last one for months. He works pretty well under pressure, so subscribe, please! *except for when he takes on a serious subject; then they’re not funny, just well-written! Thanks for the linkage! I bet 1/2 the people that saw a post from me in their readers (provided they hadn't already deleted me) thought that the reader was broken. Previous post: Look At His Gorgeous Chompers!